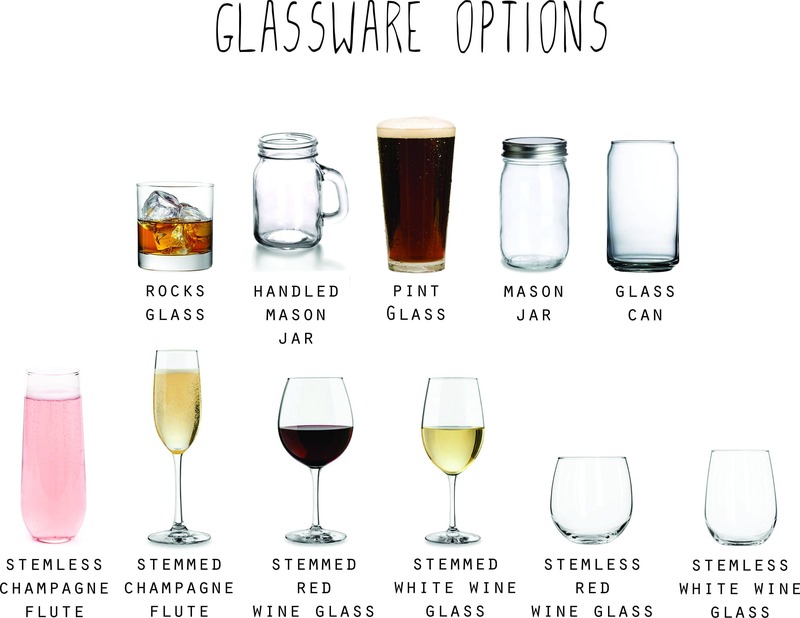 From the drop down menus, choose from a set of 2 or 4 and the style of glassware you would like. 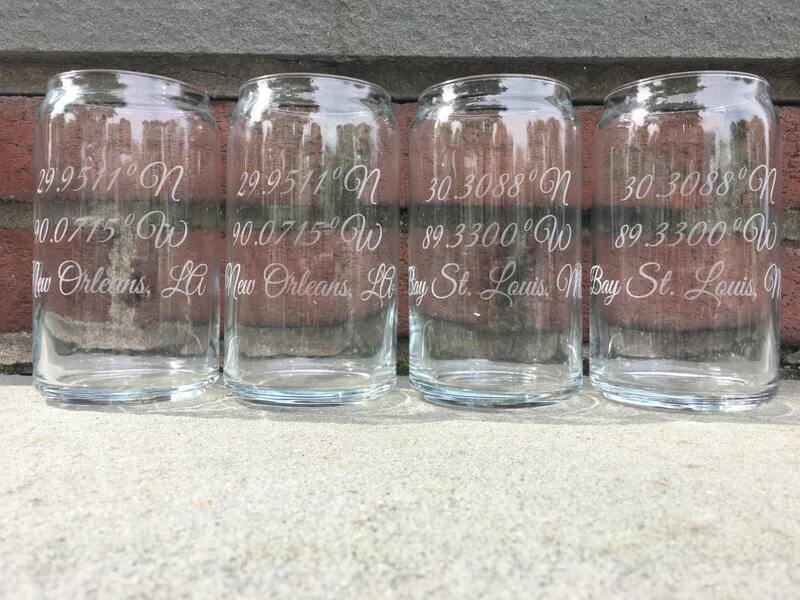 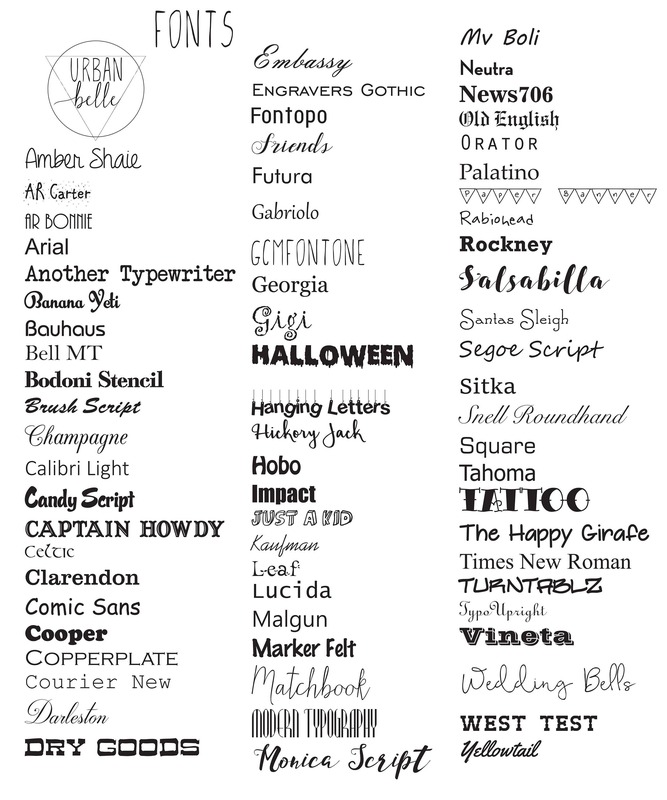 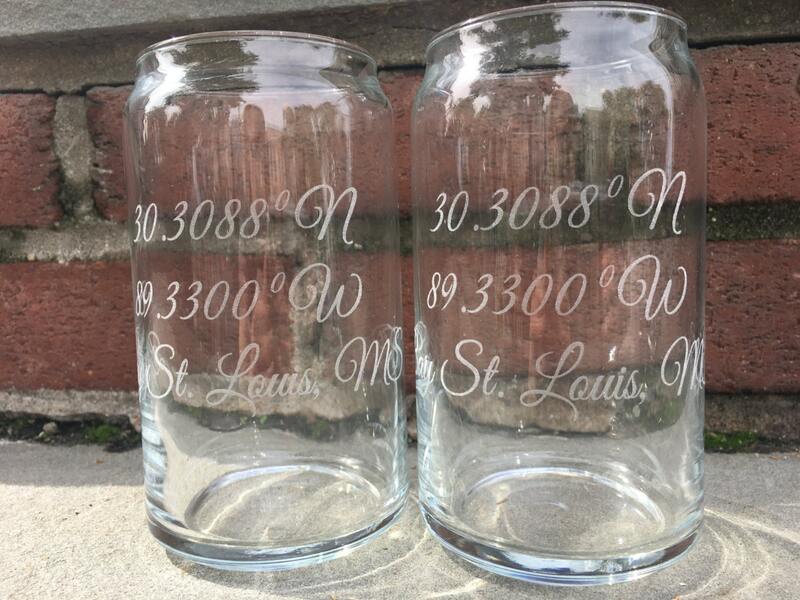 In notes at checkout indicate the latitude and longitude you would like engraved along with the name of the location as well as your font choice and you will be all set. 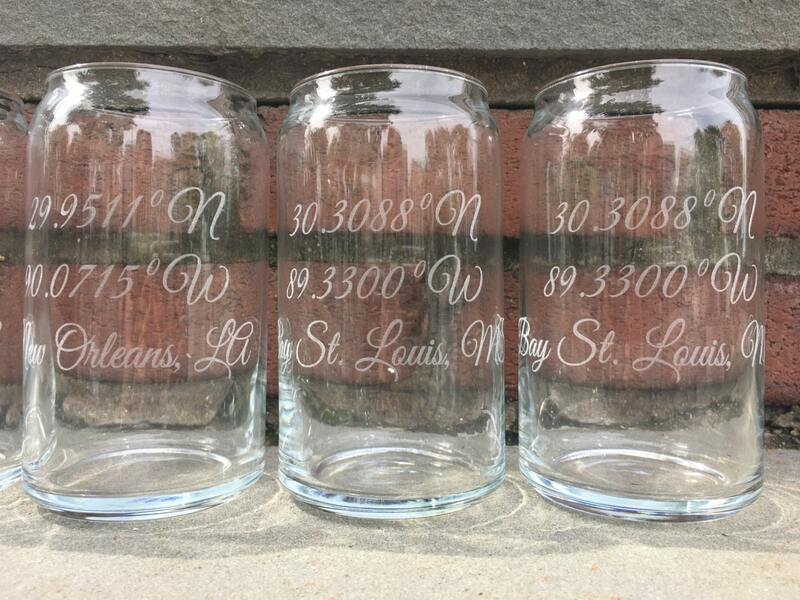 Glass chart and font options are located in the photos section.